Living with an auditory processing disorder is an extremely difficult handicap to live with. My older daughter's problem began before she entered preschool. She had an ear infection which required tubes before the age of two. She did not speak until her third birthday. However, she did talk before the age of eight months and suddenly stopped just as quickly as she had began. As she grew older, I began to notice her consistent problem responding to anyone who spoke to her. Yet, if the person was standing in front of her and spoke, she did respond. Her peers thought she was being "stuck up." Adults and teachers thought she was being stubborn. What makes this disorder more difficult to diagnose in some is their ability to pass a hearing examination. After all, the headphones are place directly on the ears. One must have a special examination to determine if someone has an auditory processing disorder. Signs of having this disorder, is not being able to to do more than one task at a time. Therefore, he or she will have problems following directions, completing classwork and doing homework. A child living with this disorder becomes easily distracted,,due to being overwhelmed by auditory stimuli and may look like they have an attention deficit hyperactivity disorder. Despite this handicap, all is not lost. One can acquire a 504 Plan. Having a 504 Plan is what helped my older daughter graduate from high school. However, she did not have any accommodations in college. She decided on her own what worked best for her. She did graduate from college with a bachelor's degree in psychology. Recently, she has been accepted into a graduate program. 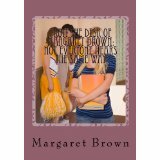 The book, "From the Desk of Margaret Brown: Not Everyone HEARS the Same Way," is the true story about my older daughter and how she was able to defeat the odds as one living with a disability and graduate from college with honors.